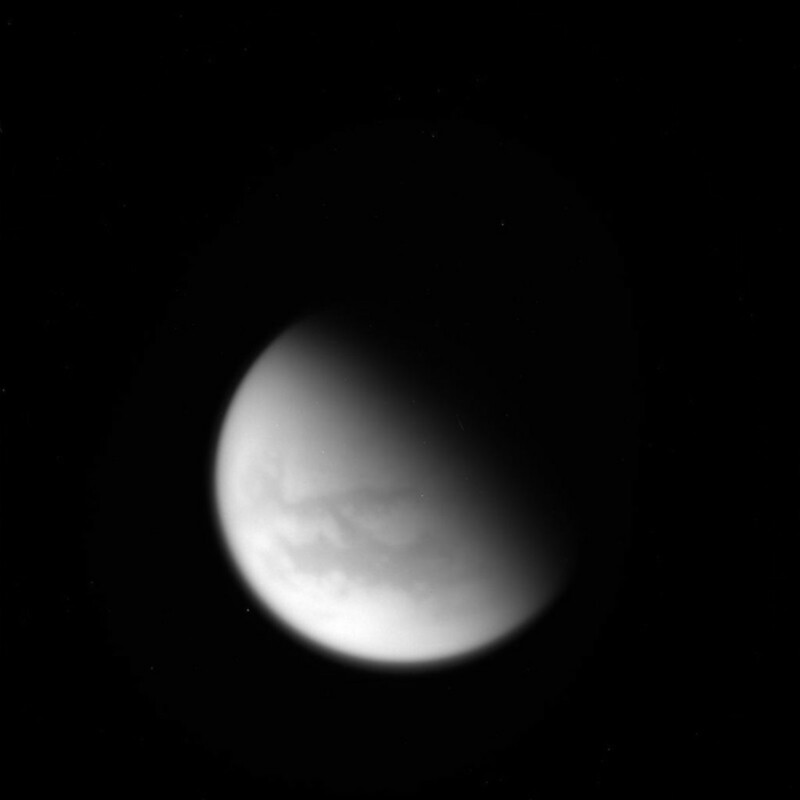 Titan has captivated people since its discovery by Christiaan Huygens in 1656. Not much headway was made into the moon until the 1940s when scientists found that Titan had an atmosphere. After 3 flybys (Pioneer 11 in 1979, Voyager 1 in 1980, and Voyager 2 in 1981), scientists wanted even more data (Douthitt 50). And though they had to wait nearly a quarter of a century, the wait has been worth it. 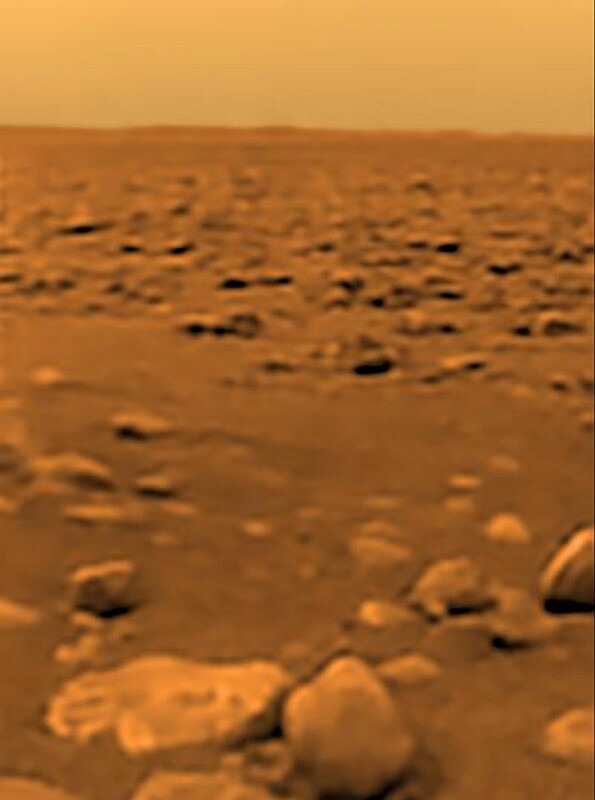 Huygens landed on the moon Titan on January 14, 2005. 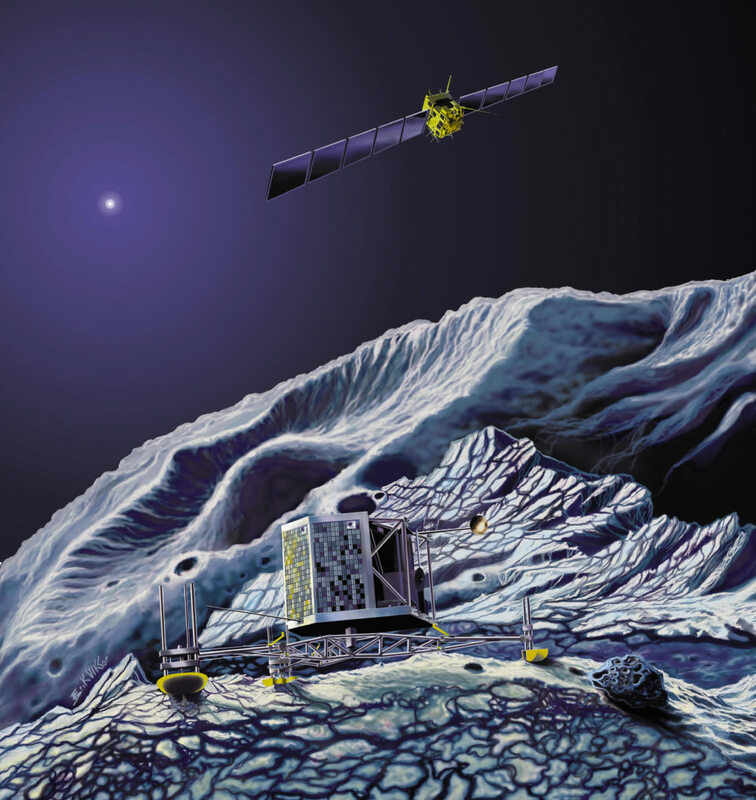 The probe was a near failure, however, because of communication difficulties. Two radio channels were designed to relay data from Huygens to Cassini, but only 1 was operating properly. That meant half of the data would be lost. The reason for the goof was even worst: The engineers had simply forgotten to program Cassini to listen in for the other channel (Powell 42). Fortunately, radio technology had improved so much that the team on Earth was able to instruct Huygens to send most of that data from the other channel straight to Earth. The only casualty would be the photographs, so only half were retrievable. This made panorama shots difficult at best (43). The probe, which weighed in at 705 pounds, fell through Titan's atmosphere at a nice pace of 10 miles per hour. When it landed, it hit a hard layer about half an inch in thickness, then sank in about 6 inches further. Huygens found that Titan has a primarily methane atmosphere, a surface pressure reading of 1.5 bars, 1/7 Earth's gravity, air density that is four times as much as Earth's, winds measure at 250 mph in the upper atmosphere and the surface has many Earth-like features such as riverbeds, hillsides, coastlines, sandbars, and also erosion. At first, it was not clear what was causing this, but after noting the temperatures near negative 292 degrees F, that the hard crust was observed to give off methane and water vapor, and chemical analysis, it was found that Titan has a precipitation system based off methane. Titan is so cold that methane, normally a gas on Earth, was able to achieve liquid state. Further data indicated that a type of volcanism could be occurring involving ammonia and water-ice. This was based off trace amounts of argon found in the air (Powell 42-45, Lopes 30). Many of these revelations of Titan are just coming to light because of that thick atmosphere. The SAR instrument on Cassini revealed details of the surface at a rate of 2% coverage during each pass as it probes through all the atmosphere. 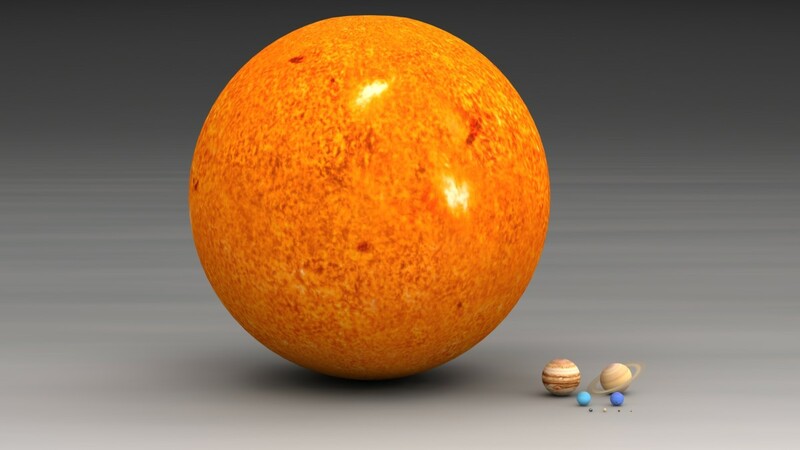 In fact, it is so thick that little sunlight makes it to the surface. Yet after the second flyby of Cassini in February of 2005 and close-ups of the equator in October of 2005, Titan was found to have parallel line features that were in fact dunes. But those require winds and therefore sunlight, of which little should reach the surface. So what causes the winds? Possibly Saturn's gravity. The mystery is ongoing, but those winds are powerful (only 1.9 miles per hour, but remember Titan has a dense atmosphere) yet are only 60% as strong as what the dunes require. 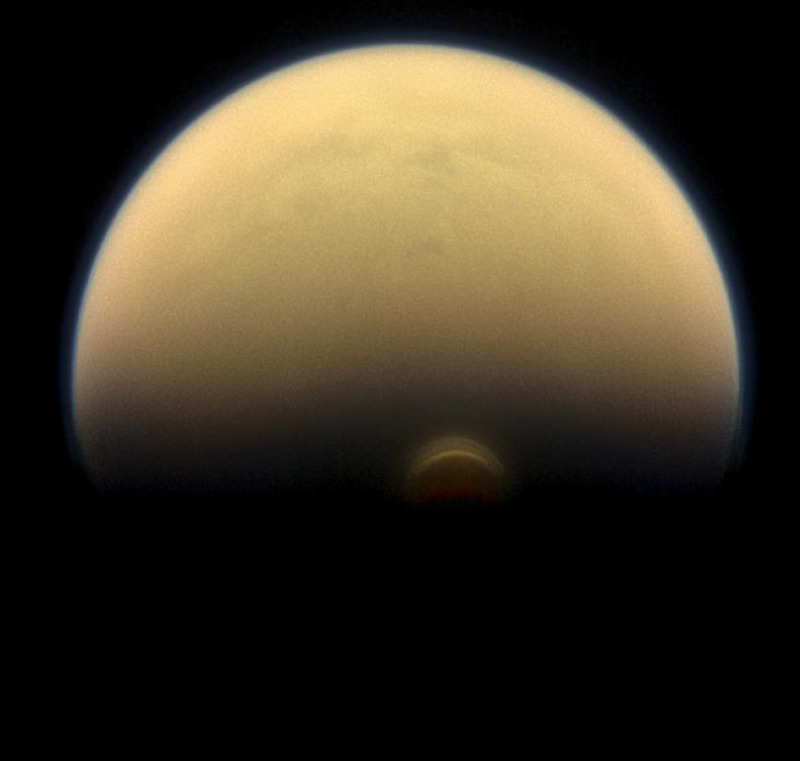 Despite that, Titan actually loses some of its atmosphere to the high polar winds, according to Cassini's CAPS instrument. It detected up to 7 tons of hydrocarbons and nitrates every day escaping the clutches of Titan's poles, floating off into space. Some of that haze does fall back to the surface, where through the erosion of methane rain could form the sand and possible wind systems (Stone 16, Howard "Polar," Hayes 28, Lopes 31-2, Arizona State University). Further flybys revealed that the dunes do indeed change shape and seem to travel in a process known as saltation, or "jumping," which needs high wind velocities and dry material. Some models indicate that as sand strikes other sand particles, the collision sends enough flying into the air that the jump can occur, but only for those particles near the surface of the dune. And depending on the direction of the wind, different dunes can form. If they blow in one direction, you get transverse dunes which run perpendicular to the direction of the wind. However, if multiple winds are present, then you get longitudinal dunes, whose line matches the average wind direction (Lopes 33). On Titan, a majority of the dunes are longitudinal in nature. Dunes make up 12-20% of the surface of Titan and with 16,000+ seen, there is no shortage of variety. In fact, a majority can be found +/- 30 degrees above and below the equator with some even being as far as 55 degrees. And based on the overall pattern of the dunes, the winds on Titan should be west to east. However, rotation models (which transfer angular momentum to surface direction) point to a east to west wind system. And Huygens measured winds going in a SSW direction. What gives? The key is remembering the majority of the winds are longitudinal and therefore have many different winds at play. In fast, models built by Tetsuya Tokano (from the University of Colongne in Germany) and Ralph Lorenz (from John Hopkins) show that indeed the moon should have east to west direction but that occasional west to east winds do occur near equator and form the dunes we have seen (Lopes 33-5). A piece to the puzzle may surprise you: static electricity. Theory shows that as the sands of Titan blow around, they rub and generate a slight charge. But given the right interactions, the sands can accumulate and lose their charge, being dumped in certain locations. And the hydrocarbons present on the surface are not good conductors, encouraging the sands to discharge only with each other. How this fully interplay with the winds on Titan remains to be seen (Lee). Though Huygens was short-lived, the science we are gathering from it is being further enhanced by observations from Cassini. Mountains of water ice and organic materials are all over the surface, based off the dark color they gave off in the visible and infrared portions of the spectrum. Based off radar data, the sand on the surface of Titan is likely a fine grain. We now know that Titan has over 75 methane lakes with a few as wide as 40 miles. They are primarily located near the poles for at the equator it is just warm enough to have methane become a gas but near the poles it is cold enough to exist as a liquid. The lakes are filled by a precipitation system similar to Earth as is the evaporation and condensation portions of our water cycle. But since methane can be broken down by solar radiation, something has to be replenishing it. Scientists found their likely culprit: cryovolcanoes which emit ammonia and methane trapped in clathrates that are released when the temperature increases. If this does not occur then Titan's methane may be a fixed amount and thus have an expiration date. Working backward from the isotope amounts of methane-12 and methane-13 it could be as old as 1.6 billion years old. Since Titan is 3 times as old as this estimate, something had to trigger the methane cycle (Flamsteed 42, JPL "Cassini Investigates," Hayes 26, Lopes 32). How do know that the lakes are in fact liquid? Lots of evidence. Radar images show the lakes as black, or something which is absorbing the radar. Based on what is returned the lakes are flat, also a sign of a liquid. To top it off the edges of the lakes are not uniform but jagged, a sign of erosion. Furthermore, microwave analysis shows that the lakes are warmer than the terrain, which is a sign of molecular activity that a liquid would display (43). On Earth, lakes are formed usually by glacier movements leaving depressions in the ground. So what causes them on Titan? The answer may lie in sinkholes. Cassini has noted that the seas are fed by rivers and have irregular edges while the lakes are round and are in relatively flat areas but have high walls. But the interesting part was when scientists noticed how there were other similar depressions that were empty. The closest comparison to the look of these features was something called a karstic formation, where easily broken down rock is dissolved by water and forms sinkholes. 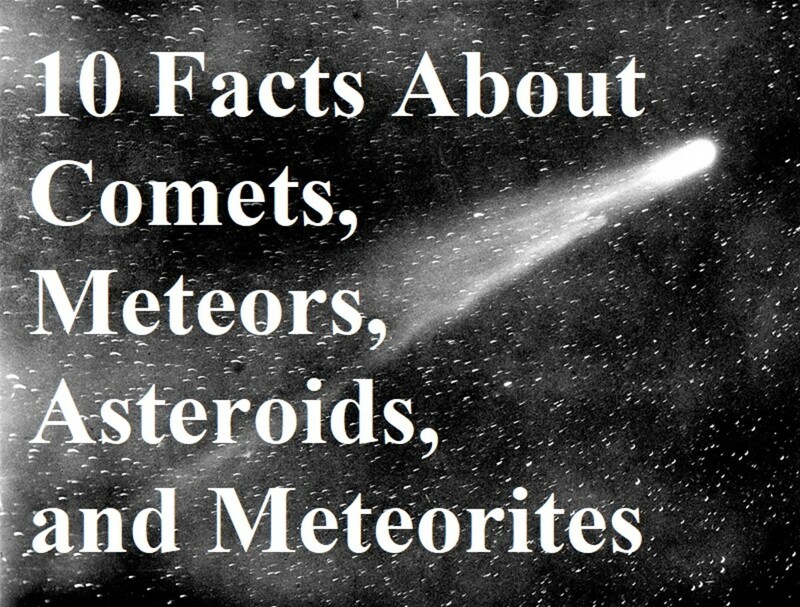 Temperature, composition, and rate of precipitation all play a role in the formation of these (JPL "The Mysterious"). But could such formations actually happen on Titan? 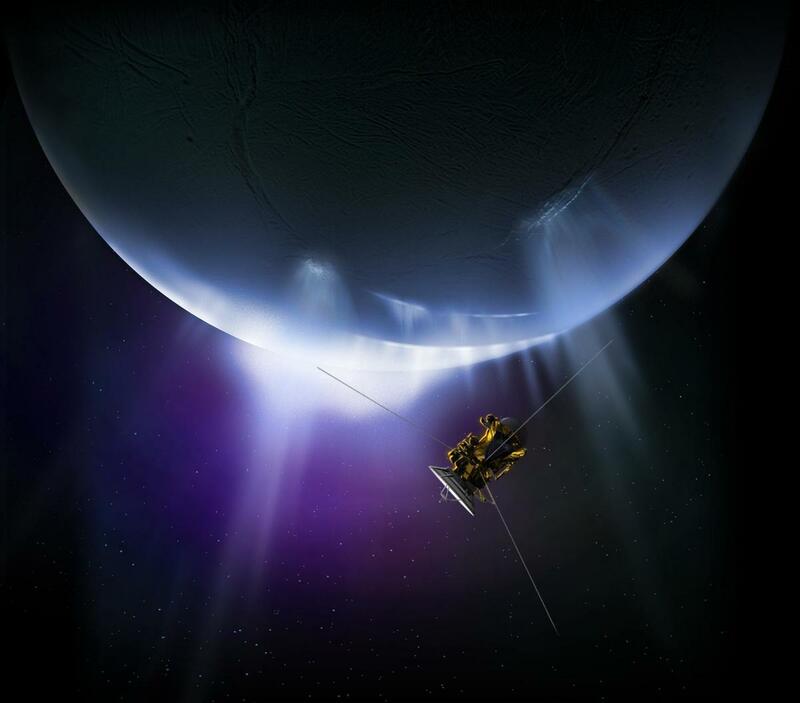 Thomas Cornet from ESA and his team took as much data as they could from Cassini, assumed that the surface was solid and the main mode of precipitation was hydrocarbons, and cranked the numbers. Like Earth, light breaks up methane in the air into hydrogen components which then recombine into ethane and propane,which fall back to the surface of Titan, helping to form tholins. Most of the formations on Titan would require 50 million years, which fits perfectly into the young nature of Titan's surface. This is despite how rain falls nearly 30 times less on Titan than it does on Earth (JPL "The Mysterious," Hayes 26). And does Titan have seasons to change those levels in the lake? Yes, systems of precipitation move and correspond to seasons that are unique to Titan, according to a study done by Stephane Le Moulic. She used images from a five-year span of Cassini observations using the visual and infrared spectrometer showed the methane/ethane cloud cover shifting from the north pole as Titan's winter transitioned to spring. Temperature changes were measured for the seasons and were shown to even fluctuate on a daily basis much like our planet but on a smaller scale (1.5 Kelvin difference, with a change of -40 C in the southern hemisphere and a change of 6 C in the northern hemisphere). In fact, as summer approaches Titan, light winds are generated which can actually form waves on the surfaces of the lakes from 1 centimeter to 20 centimeters in height according to radar data. On top of that, a cyanide vortex was observed to form at the south pole as this transition occurred (NASA/JPL "The Many Moods," Betz "Toxic," Hayes 27-8, Haynes "Seasons," Klesman "Titan's Lakes"). However, none of this explains the cloud that scientists have seen in Titan's atmosphere. You see, it is made up of carbon and dicyanoacetylene (C4N2), or the compound responsible for giving Titan that orange color. But at the stratosphere where the cloud exists, only 1% of the C4N2 exists that the cloud requires to form. The solution may rest in the troposphere, directly underneath the cloud, where the condensation of methane occurs in an analogous method to the water on Earth. For whatever reason, the process is different around the poles of Titan, for warm air is forced down and condenses once contact is made with the cooler gases that it encounters. By extension, the stratosphere air is now brought down in temperature and pressure and allows unusual condensation to occur. 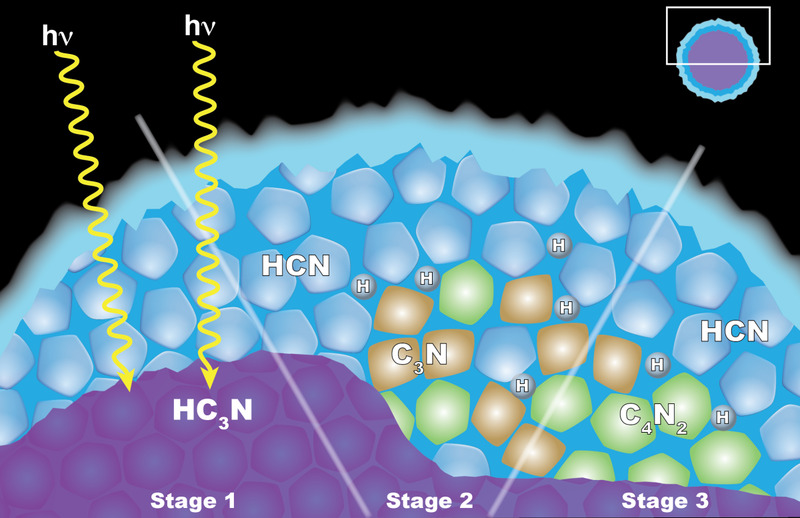 Scientists suspect that sunlight around the poles interacts with the C4N2, ethane, acetylene, and hydrogen cyanide in the atmosphere and causes an energy loss that can then lead to cooler gas sinking to a lower level than models originally indicated (BBC Crew, Klesman "Titan's Too," Smith). But something else besides weather may change those lakes. Radar images have shown mysterious islands forming and disappearing over several years, with the first appearance in 2007 and the latest in 2014. 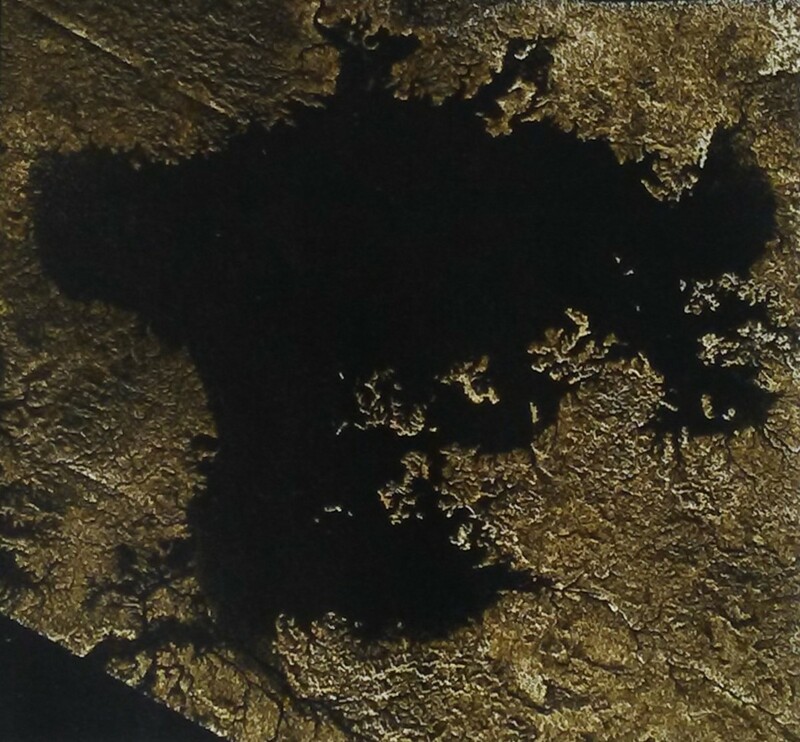 The island is located in one of the largest lakes of Titan, Ligeia Mare. Later, more were spotted in the largest of the seas, Kraken Mare. Scientists are confident that the island is not a technical glitch because of its numerous sightings nor could evaporation account for the level of changes witnessed. While it could be seasons causing the changes, it may be some unknown mechanism as well, including wave actions, bubbles or floating debris (JPL "Cassini Watches," Howard "More," Hayes 29, Oskin). That bubble theory gained ground when scientists at JPL looked at how methane and ethane interactions would go about. They found in their experiments that as methane rain falls on Titan, it interacts with methane and ethane lakes. This causes nitrogen levels to become unstable and through achieving equilibrium can be released as bubbles. If enough are released in a small space, it could account for those islands seen, but other properties of the lakes need to be known (Kiefert "Lakes"). And how deep are these lakes and seas? The RADAR instrument found that Kraken Mare may have a minimum depth of 100 feet and has a max of over 650 feet. Precision in the max is uncertain because the technique to determine the depth (using radar echoes) works up to 650 feet based on the composition of the lakes. A return echo was not recorded in certain parts, indicating that the depth was greater than the radar's range. Ligeia Mare was found to have a depth of 560 feet after later analysis of the radar data. The echo from the radar images also helped confirm the methane material of the lakes, according to a May 2013 study by Marco Nashogruseppe, who used Mars software that looked at subsurface depths to analyze the data (Betz "Cassini," Hayes 28, Kruesi "to the Depths"). 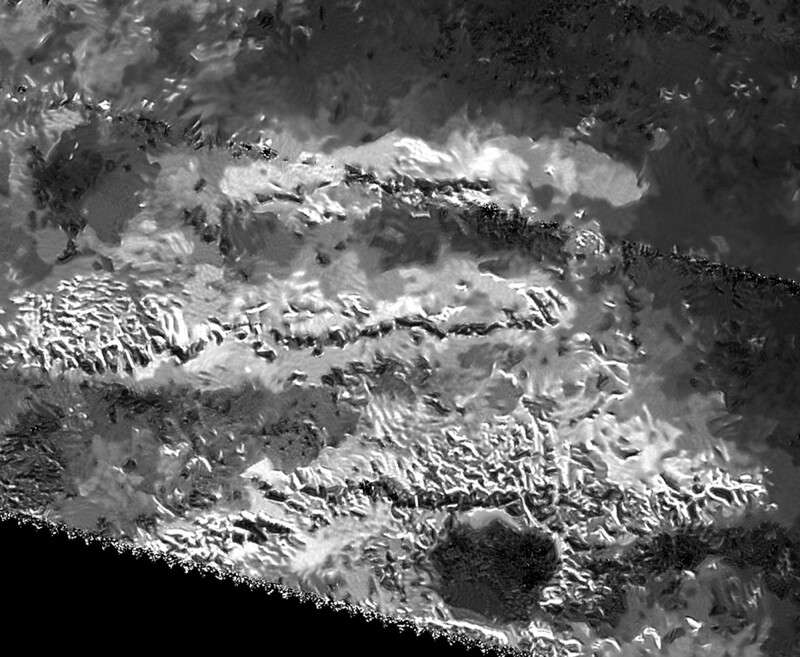 That same radar data also pointed scientists to the canyons and valleys that are present on the surface of Titan. Based on those echo bounces, some of these features are as deep as 570 meters and have flowing methane that empties into some of those lakes. Vid Flumina, measuring in at 400 kilometers long, is an example of a valley that does this, with its terminus ending at Ligela Mare and its widest portion at no more than half a mile. Many different theores are trying to explain them, with tectonics and erosion amongst the most popular, according to Valerio Pogglall (University of Rome), the lead author of the study. Many have pointed out how similar he features look to Earth counterparts like our river systems, something that is a common theme to Titan (Berger "Titan Appears," Wenz "Titan's Canyons," Haynes "Titan's Grand"). Another similarity Titan has to Earth is that the seas are connected - underground. 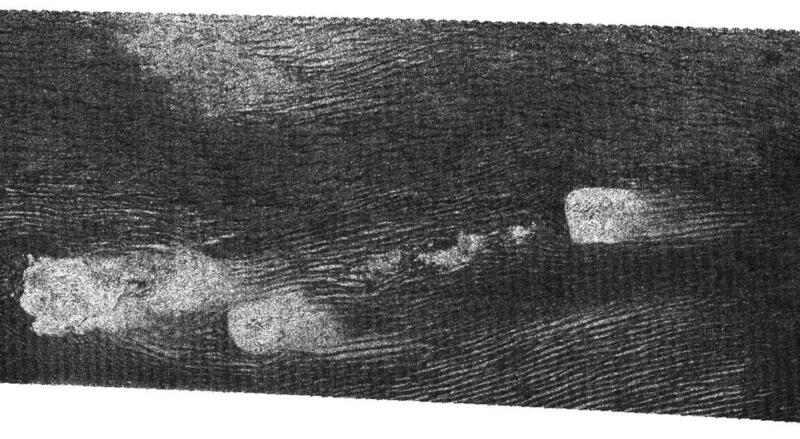 The radar data showed the seas on Titan didn't change separately as gravity pulled on the moon, indicating a way for the liquid to spread around via either an qualifier process or by channels, both of which would happen below the surface. Scientists also noticed that empty lake beds were at higher elevations while filled lakes were at a lower one, also indicating a draining system (Jorgenson). As Cassini orbits around Saturn it gets close to Titan depending on where it is. As Cassini passes by the moon, it feels gravitational tugs from the moon that correspond to how the matter is distributed. By recording the tugs at various points scientists can build models to show what could lie beneath the surface of Titan. To record those tugs, scientists beam radio waves back home using the Deep Space Network Antennas and note any lengthening/shortening of the transmission. Based on 6 flybys, Titan's surface can change height by as much as 30 feet because of gravity pulls from Saturn, according to a June 28, 2012 issue of Science. Most models based on this indicate that most of Titan is a rocky core but that the surface is an icy crust and below that a subsurface salt ocean which the crust floats on. 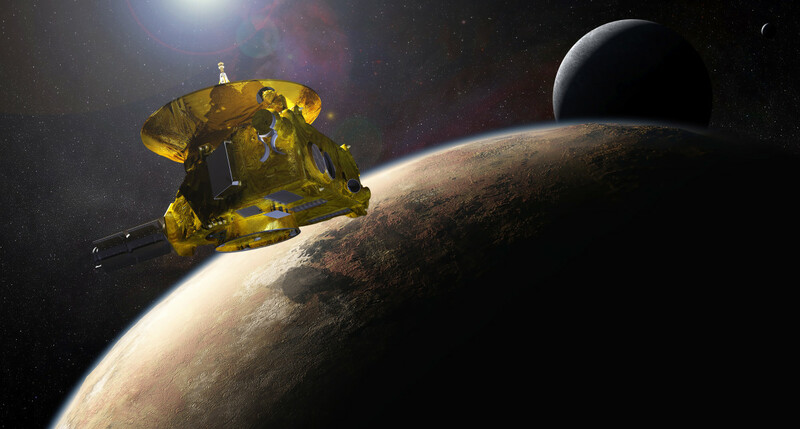 Yes, another place in the solar system with liquid water! It likely has sulfur and potassium in addition to the salt. Because of the rigidness of the crust and the gravity readings it seems like the crust is solidifying and potentially the upper layers of the ocean as well. How methane plays into this picture is unknown but it hints at localized sources (JPL "Ocean," Kruesi "Evidence"). Titan still has plenty of mystery though. 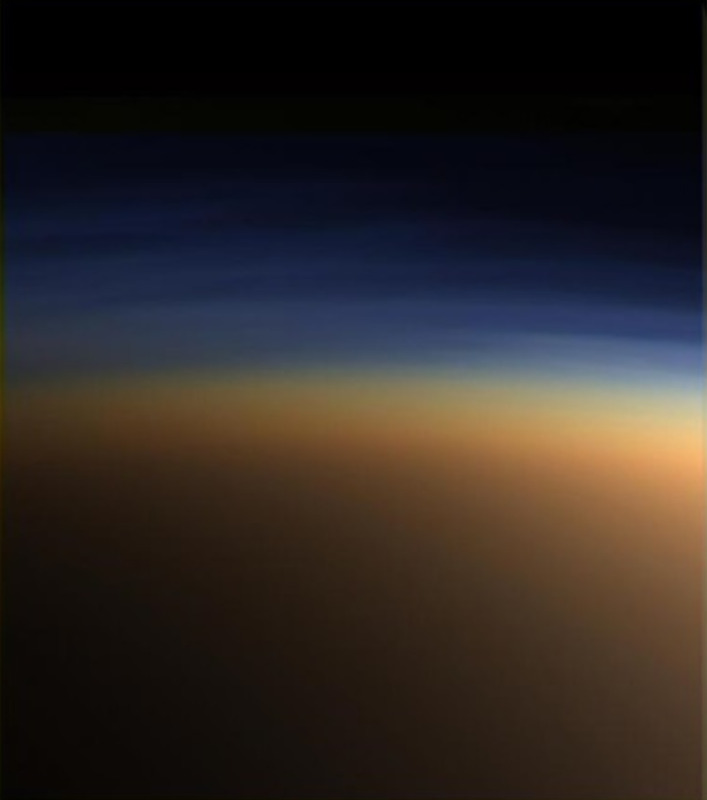 In 2013 scientists reported on a mysterious glow that was spotted in Titan's upper atmosphere. But what is it? We are not sure but it glows at 3.28 micrometers in the infrared region of the spectrum, very close to methane but slightly different. This makes sense because methane is the molecule that is akin to water on Earth, precipitating on the moon. It is only seen during the day portion of the moon because the gas requires sunlight to glow for us to see (Perkins). Remember earlier in the article when scientists found the methane to be much younger than Titan? The nitrogen that is on the moon is not only older than Titan but it is older than Saturn! Titan seems to have a contradictory history. So how was this discovery found? Scientists made this determination after looking at the ratio of nitrogen-14 to nitrogen-15, two isotopes of nitrogen. This ratio decreases as time progresses because isotopes decay so by comparing the measured values scientists can backtrack to the initial values when it formed. They found that the ratio does not match Earth's but is close to comet's. What does this mean? Titan had to form away from the inner solar system where the planets formed (including Earth and Saturn) and further out near where comets are suspected to form. Whether the nitrogen is related to comets in the Kuiper Belt or the Oort Cloud remains to be determined (JPL "Titan"). Cassini data is sure to unlock more of the secrets surrounding Saturn as time goes on. 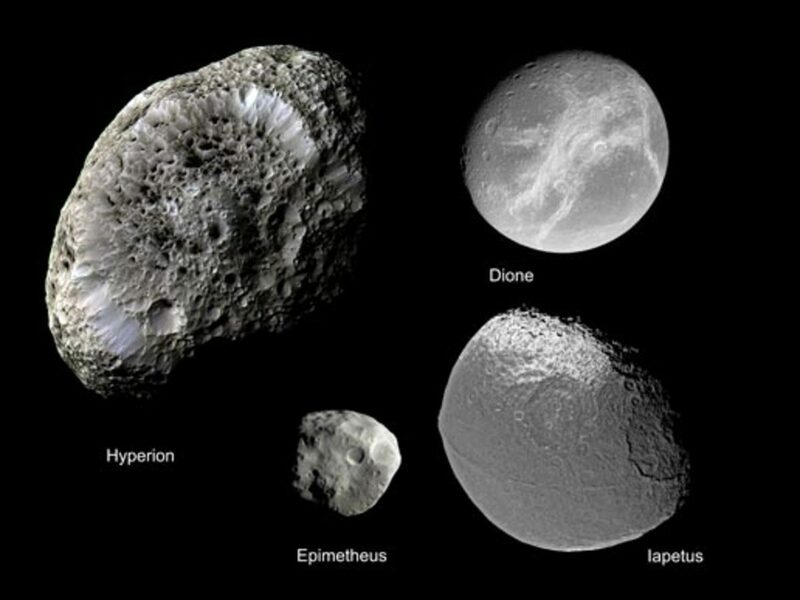 It also revealed more mysteries of the moons of Saturn as it orbited silently with a watchful eye. But sadly, like all good things, the end had to come. On April 21, 2017, Cassini made its final close approach to Titan as it got to within 608 miles to gather radar information and used its gravity to pull the probe into its Grand Finale flybys around Saturn. It did capture one image, which is presented below. It was a good game, indeed (Kiefert). And so the final orbits went about, and more data was collected. Closer and closer did Cassini get to Saturn, and on August 13, 2017 it completed its closest approach yet at 1,000 miles above the atmosphere. This maneuver helped position Cassini for a final flyby of Titan on September 11 and for the death plunge on September 15 (Klesman "Cassini"). Arizona State University. "Dunes on Saturn's Moon Titan Need Firm Winds to Move, Experiments Show." Astronomy.com. Kalmbach Publishing Co., 09 Dec. 2014. Web. 25 Jul. 2016. BBC Crew. "NASA Can't Explain the 'Impossible' Cloud That's Been Spotted Over Titan." sciencealert.com. Science Alert, 22 Sept. 2016. Web. 18 Oct. 2016. Berger, Eric. "Titan Appears to Have steep Gorges and Rivers Like the Nile." arstechnica.com. Conte Nast., 10 Aug. 2016. Web. 18 Oct. 2016. Betz, Eric. "Cassini Finds Depths of Titan's Lakes." Astronomy Mar. 2015: 18. Print. ---. "Toxic Clouds at Titan Poles." Astronomy Feb. 2015: 12. Print. Douthitt, Bill. "Beautiful Stranger." National Geographic Dec. 2006: 49. Print. Flamsteed, Sam. "Mirror World." Discover Apr. 2007: 42-3. Print. Hayes, Alexander G. "Secrets from Titan's Seas." 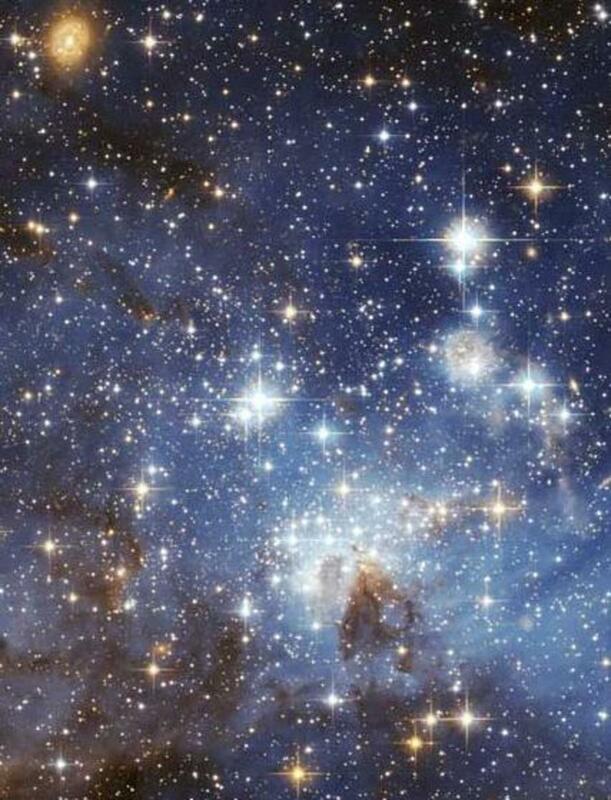 Astronomy Oct. 2015: 26-29. Print. Haynes, Korey. "Seasons Change on Titan." Astronomy Feb. 2017: 14. Print. ---. "Titan's Grand Canyons." Astronomy Dec. 2016: 9. Print. Howard, Jacqueline. "More Mysterious Magic Islands Appear on Giant Saturn Moon." HuffingtonPost.com. Huffington Post: 13 Nov. 2014. Web. 03 Feb. 2015. ---. "Polar Winds On Saturn's Moon Titan Makes It More Earth-Like Than Previously Thought." HuffingtonPost.com. Huffington Post: 21 Jun. 2015. Web. 06 Jul. 2015. Jorgenson, Amber. "Cassini Uncovers a "Sea Level" On Titan, Similar to Earth." Astronomy.com. Kalmbach Publishing Co., 23 Jan. 2018. Web. 15 Mar. 2018. JPL. 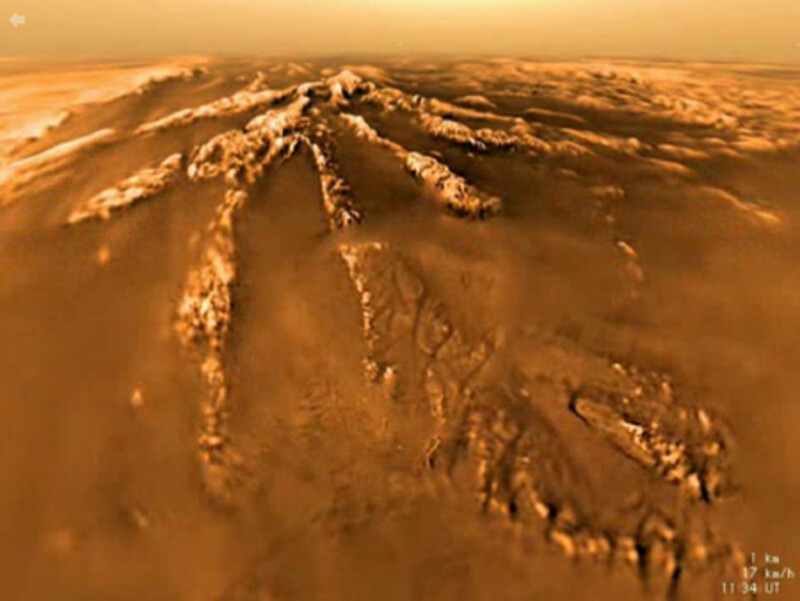 "Cassini Investigates Titan's Chemical Factory." Astronomy.com. Kalmbach Publishing Co., 25 Apr. 2012. Web. 26 Dec. 2014. Kiefert, Nicole. "Cassini Concludes Final Fly By of Titan." Kalmbach Publishing Co., 24 Apr. 2017. Web. 06 Nov. 2017. ---. "Lakes on Titan May Fizz With Nitrogen Bubbles." Astronomy.com. Kalmbach Publishing Co., 16 Mar. 2017. Web. 31 Oct. 2017. Klesman, Alison. 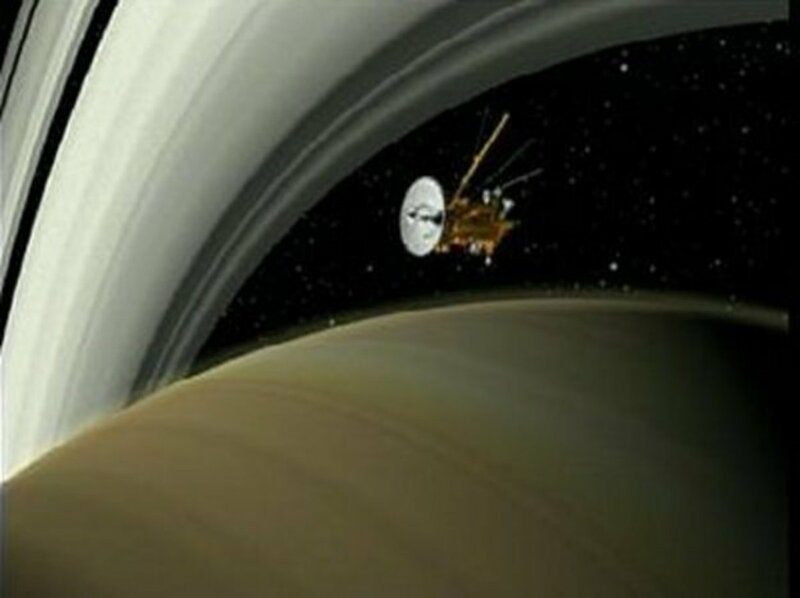 "Cassini Prepares for Mission's End." Astronomy.com. Kalmbach Publishing Co., 16 Aug. 2017. Web. 27 Nov. 2017. ---. "Titan's Lakes Are Calm." Astronomy Nov. 2017: 17. Print. ---. "Titan's Too-Cold Poles Explained." Astronomy.com. Kalmbach Publishing Co., 21 Dec. 2017. Web. 08 Mar. 2018. Kruesi, Liz. "To the Depths of Titan." Discover Dec. 2015: 18. Print. ---. "Cassini Watches Mysterious Feature Evolve in Titan Sea." Astronomy.com. Kalmbach Publishing Co., 30 Sept. 2014. Web. 03 Feb. 2015. ---. "Evidence That Titan Harbors An Ocean." Astronomy Oct. 2012: 17. Print. ---. "Ocean on Saturn Moon Could be as Salty as the Dead Sea." Astronomy.com. Kalmbach Publishing Co., 03 Jul. 2014. Web. 29 Dec. 2014. ---. "The Mysterious 'Lakes' on Saturn's Moon Titan." Astronomy.com. Kalmbach Publishing Co., 16 Jul. 2015. Web. 16 Aug. 2015. ---. 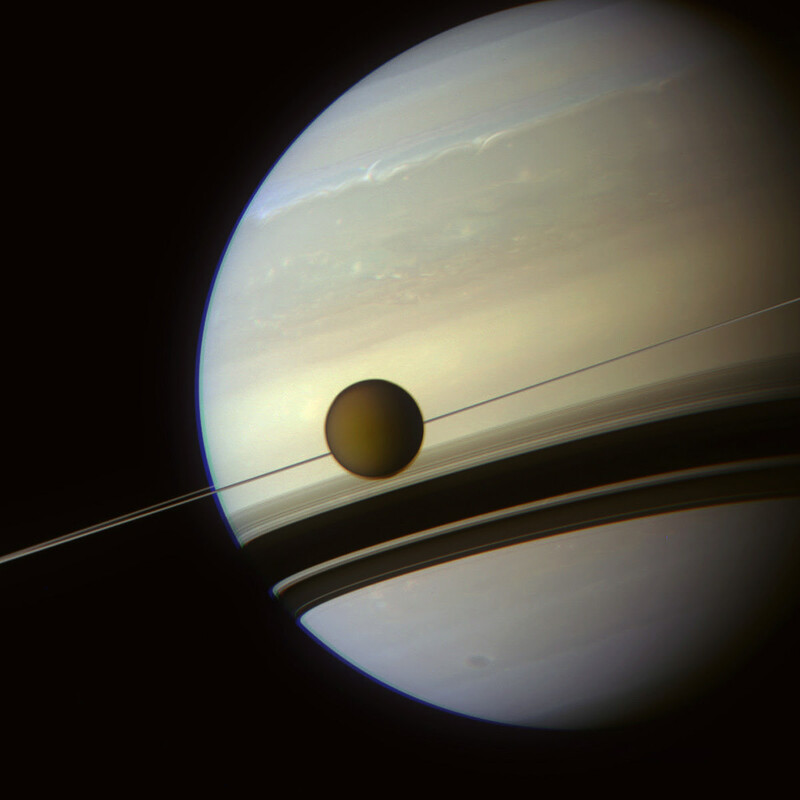 "Titan's Building Blocks Might Predate Saturn." Astronomy.com. Kalmbach Publishing Co., 25 Jun. 2014. Web. 29 Dec. 2014. Lee, Chris. "Sands of Titan May Dance To Their Own Static Electricity." arstechnica.com. Conte Nast., 30 Mar. 2017. Web. 02 Nov. 2017. Lopes, Rosaly. 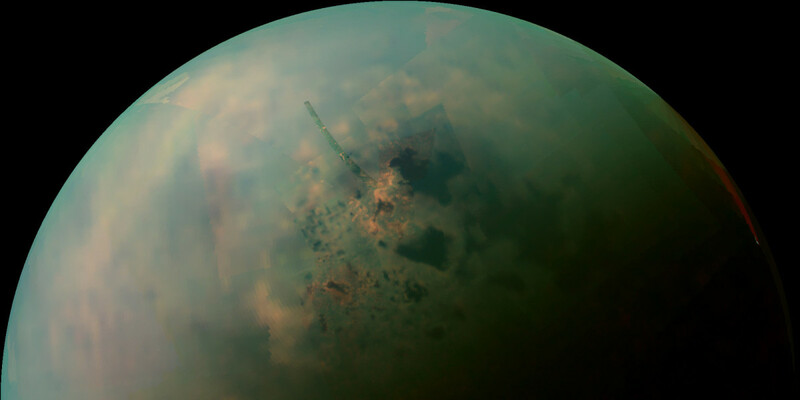 "Probing Titan's Seas of Sand." Astronomy Apr. 2012: 30-5. Print. NASA/JPL. "The Many Moods of Titan." Astronomy.com. Kalmbach Publishing Co., 24 Feb. 2012. Web. 25 Dec. 2014. Oskin, Becky. 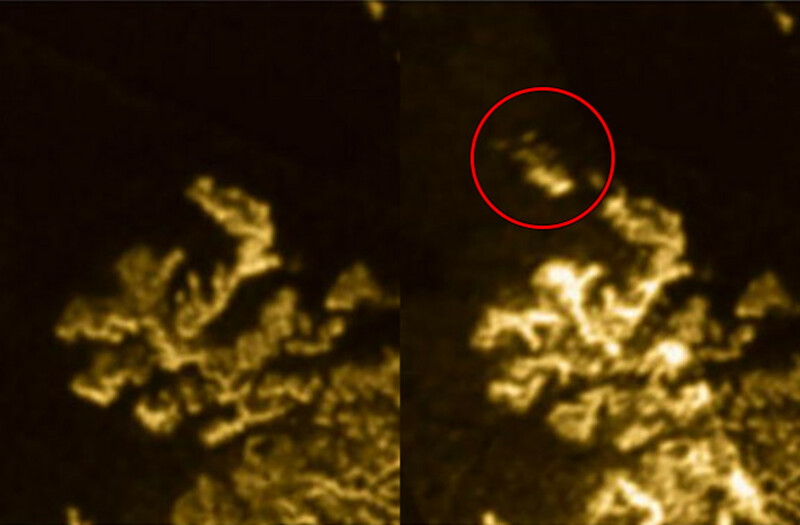 "Mysterious Magic Island Appears on Saturn's Moon Titan." Huffingtonpost.com. HuffingtonPost, 23 Jun 2014. Web. 25 Jul. 2016. Perkins, Sid. "Titan Moon Gas: Mysterious Glow on Saturn's Moon Remains Unidentified." HuffingtonPost.com. Huffington Post, 14 Sept. 2013. Web. 27 Dec. 2014. Powell, Corey S. “News From Earth’s Wayward Twin Titan." Discover April 2005: 42-45. Print. Smith, K.N.. "The strange chemistry that creates 'impossible' clouds on Titan." Astronomy.com. Kalmbach Publishing Co., 22 Sept. 2016. Web. 27 Sept. 27 2018. Stone, Alex. "Life's a Beach on Saturn's Moon" Discover Aug. 2006. 16. Print. Wenz, John. 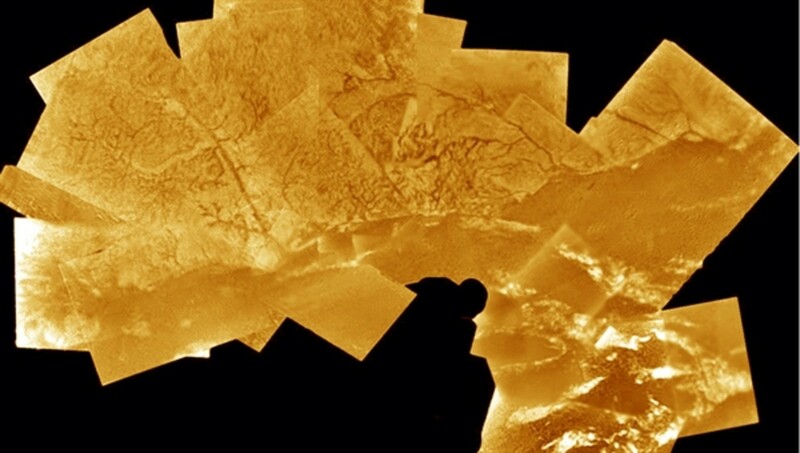 "Titan's Canyons Are Flooded With Methane." Astronomy.com. 10 Aug. 2016. Web. 18 Oct. 2016. Thank you, I am glad I could share this with you! An excellent informative hub...well done. I thought I knew a lot about Titan but your hub taught me some new things. Thanks for the tour.